You’ve got questions, and we have answers—at least as it pertains to school! We’ve put together the answers to the questions we hear most often. If you can’t find the information you need in the topics discussed below, please give us a call during our regular office hours. How do I report an absence or check my child out of school early for a doctor’s appointment? What is the student dress code at IICSN? How do I register my child at Innovations International? May I visit my child on campus during the school day? Can my child bring his/her phone to school? Since IICSN is a charter school, is there a tuition fee? What types of counseling services does IICSN provide? How can I get information about how my child is doing in school? What is the school policy regarding promotion and retention? A parent or guardian must call the office in order to receive an excused absence. If you must take your child out of school during scheduled class time, please sign your child out of school, and provide the reason for the absence (illness, doctor appointment, or family matter). Stop by Our Schools page for a detailed bell and dismissal schedule. An approved school shirt with the school logo. Black or khaki pants, shorts, skorts, or capri pants. We do not allow tight knit pants or leggings. Closed-toed shoes. For the safety of the students, we do not permit open-toed sandals, flip-flops, or slippers. Clothing with derogatory, obscene, or suggestive markings. Clothing that distracts from the learning environment. Including cut-up jeans, bare feet, slippers, mesh or half shifts, tank tops, hats, excessively short garments, and exposed undergarments. We’re so glad you asked! Follow us on over to our Enrollment page, and don’t forget to schedule a tour to check us out! Yes, we welcome you to visit with your child on special occasions or to volunteer. However, for the safety of our students and staff, we require all visitors to check in at our office prior to entering the campus. If you wish to meet with your child’s teacher during the school day, please schedule an appointment at least 24 hours in advance. First offense – device confiscated and returned to the student at the end of the school day. Second offense – device confiscated from student; a parent/guardian must personally retrieve the device from us. Third offense – device confiscated and held until the end of the school year. No, we are a free, public charter school operating under the Clark County School District. Placement: We assign students to the courses needed for promotion and/or graduation. Placement involves assistance to each individual in selecting appropriate curriculum, schools, and training programs. Individual analysis: Students participate in an analysis process to enhance our understanding of the individual and to improve the quality of decisions made by the student, parents, teachers, counselors, and administrators. Information dissemination: This allows our Counseling Department to interact with individuals who seek assistance and require further information concerning the educational process. Counseling services: We designed our program to help each student set personal goals and establish a post-secondary plan. We achieve this through an awareness of each individual’s strengths, weaknesses, knowledge, skills, feelings, and values. In addition, the Counseling Department provides consultations with parents, teachers, and administrators. Follow-up: We closely monitor each student’s goals, so we can adapt to changes in his/her goals. This may take the form of a questionnaire submitted via mail or by phone. We hold any information shared during counseling in strict confidence. We will utilize information for the sole purpose of benefiting Innovations International as we refine the services we deliver to students and families. Phone calls: please make sure that your contact information is current, so that we can contact you if your child is ill or another emergency arises. Newsletters: check our News page and your child’s backpack for newsletters. Text messages: if you prefer to communicate with your child’s teacher via text messaging, please inform his/her teacher, and provide the information needed. We handle all messaging/texting confidentially and responsibly. Conferences: we understand that families have complicated schedules; however, there are times that meeting face-to-face is the best way to discuss concerns. We welcome you to schedule conference meetings with our teachers at least 24 hours in advance. While informal meetings at the end of the school day may take place, we cannot guarantee a teacher’s availability, as urgent or other unexpected situations may arise for our staff members. Student agendas: all students receive a student agenda where a log of homework and a running line of communication with parents is established. Please review this agenda each evening, initial, date, and add a message to the teacher if you wish to speak with him/her. This is an important part of helping your child learn organizational skills as well as keeping you informed of your child’s progress. Flyers: we will send home flyers to announce special events or provide important reminders. This information is also available on our News page. Notes: if necessary, we will alert you of an incident at school via a note home. Report cards: we distribute report cards four times throughout the year approximately one week after the quarter has ended. Watch for these in your child’s backpack. If your child is at risk of failing a course (D or lower at midterm), we will notify you with an Unsatisfactory Notice at mid-quarter. We have developed our policies in accordance with guidelines from our sponsor. We also take into consideration the time required to learn and master new skills. 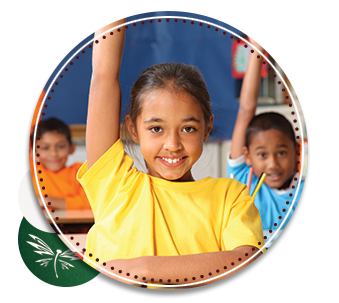 Generally, we assess students in the primary grades based on their ability to demonstrate grade-level skills and knowledge. The number of credits earned serves as the determining factor for promotion/retention at the secondary levels. Please refer to the student handbook for details.